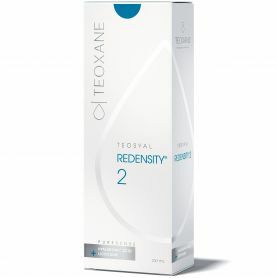 TEOSYAL® PureSense Redensity [I] is a unique hyaluronic acid 15 mg/ml + lidocain 0,3% + Complexe Dermo-Restructurant which prevents premature skin aging, restores skin density and maintains skin glow. The global care to fight against dryness, cutaneous slackening, skin tightening, sun exposure and aging process. TEOSYAL® PureSense Redensity [I], it is now possible to restore this balance by adequately nourishing the skin from within. TEOSYAL® PureSense Redensity [I] is a unique hyaluronic acid-based skin enhancer which prevents premature skin aging, restores skin density and maintains skin glow. TEOSYAL® PureSense Redensity [I] treatment consists in performing microinjections across the dermis, so that hyaluronic acid and the Dermo-Restructuring Complex are spread evenly into the skin. Three sessions at three week intervals are recommended for optimal cutaneous redensification. wo to three sessions per year are recommended to maintain the effects of the treatment. TEOSYAL® PureSense Redensity [I] is suitable for the face, neck and also neckline which is a particularly fragile area often ignored by traditional treatments. TEOSYAL® PureSense Redensity [I] guarantees subtle, uniform and cumulative results: the skin is evenly and naturally plumped, radiant and smooth with luminosity restored. 3 highly efficient and powerful antioxidants, 2 minerals, 1 vitamin and 8 amino acids selected for their pharmaceutical grade, non-allergenic properties and compatibility with hyaluronic acid. Glutathione, N-Acetyl-L-Cysteine, Alpha Lipoic acid. Minerals: Zinc, Copper. Vitamin: B6. Amino acids: Arginine, Glycine, Lysine, Threonine, Proline, Isoleucine, Leucine, Valine. A selection of natural, non-allergenic and synergic ingredients. For efficient skin protection and redensification.